Traditional and lasts and travels better than maile! Orchid & Baby’s Breath (head lei), backed by ferns. Must be ordered a week in advance. 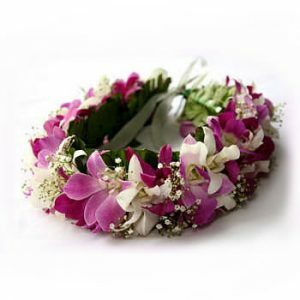 A fancy lei without the fancy price! Often used for men. Flat lei of ti-leaf and bright yellow & green leaves. Fancy, colorful and light. 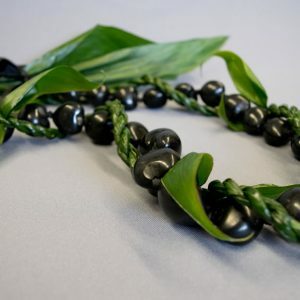 A fancy lei without the fancy price! 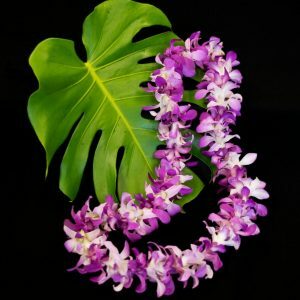 Orchid head lei, backed by ferns. Must be ordered a week in advance.